I just finished reading Lonestar Sanctuary by Colleen Coble. I have been interested in reading her books for a while now, but I just haven't gotten any to try. In the past I was always afraid to venture out from authors I usually read, but now, I enjoy looking for new things to try. And it didn't hurt either that Mardel had the box set of this series on their clearance section for $10. Can't beat 3 books for $10 these days. So that helped give me the push I need to pick them up. It's a good read. It is a formula read, in that I knew how it was going to turn out, it followed the pattern of main characters meet, a bit of uncomfortableness/bickering among them, resolve, grow closer, something tears them apart, then finally they resolve or apologize for the wrongs. There is suspense, drama and some romance, but on the G/PG level. I enjoyed it. I believe that this book would be a good book to read in between the bigger books I read, to give the mind a little bit of a rest. It isn't a book I got to bed thinking about. 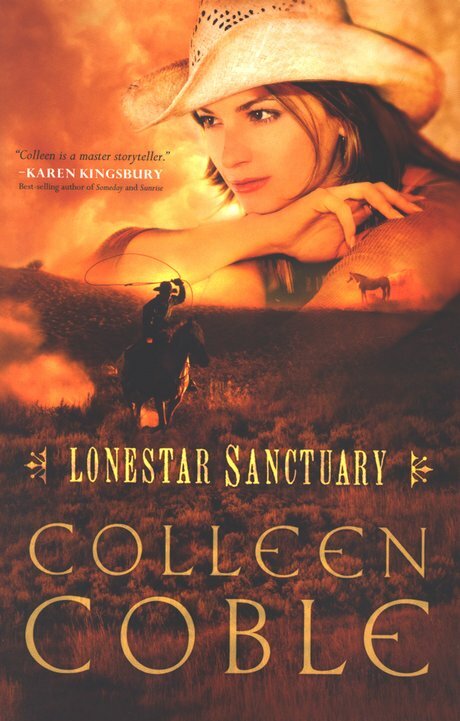 I did enjoy that the book was set in Texas, because hey, Texas is just awesome! The description to the surrounding areas was very well done. I say that this book is a to read!